Verity Vaults — the portable storage containers. Our sturdy, secure and weatherproof portable storage containers can be delivered to your home as an convenient alternative to self storage. 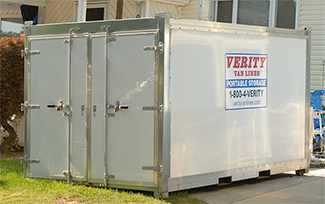 Verity Vaults are not only great for moving, but are also ideal for decluttering when selling your home, doing repairs or remodeling. Leave them on your property or have them stored in our warehouse. Either way, they are the perfect solution when you are looking for a portable storage shed. The Verity Vault can handle jobs large and small — from one bedroom apartments to full size homes. They can be stored either on your property or in our secure warehouse — it’s entirely up to you. We deliver our vaults directly to your home and pick them up when you’re done. You can choose to load them yourself or have our professional staff do it for you. It’s the fast, easy and incredibly efficient solution to your portable storage needs. Clean furniture van body construction made specifically for furniture storage. Complete, fully sealed all season weather protection. Sturdy locks and construction for security and peace of mind. Complete portability — store them at your home or with us. Designed by the moving and storage experts at Verity Van Lines. A trusted, local family owned company for over 100 years. 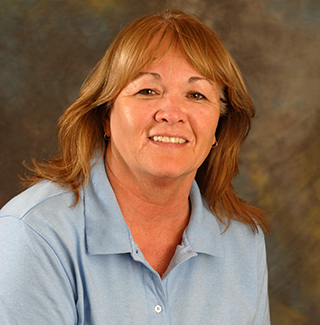 Verity Van Lines serves all of Nassau County, New York: Bethpage, Glen Cove, Long Beach, Lynbrook, Oceanside, Oyster Bay, Manhasset, Massapequa, Merrick, Rockville Centre, Seaford, Wantagh and surrounding areas. Please call us at 516-785-7620 to arrange a meeting so we can determine the proper size and placement of your vault.